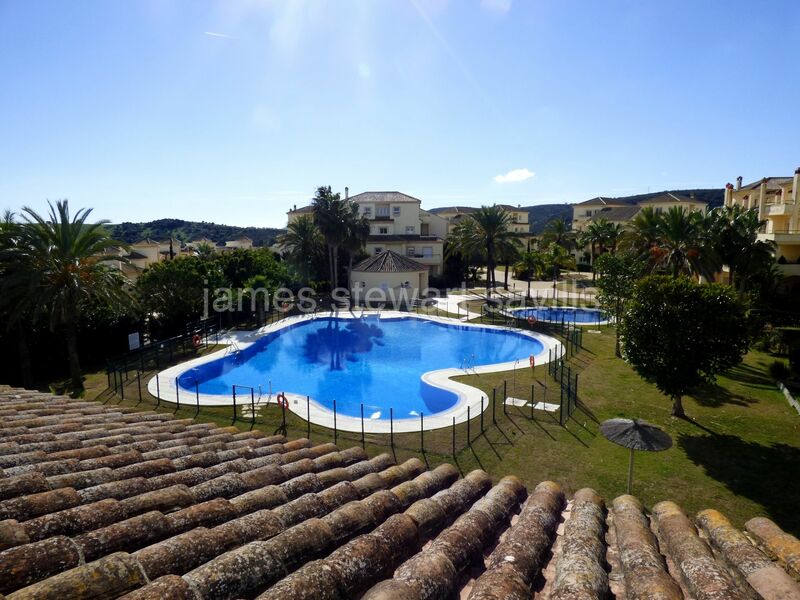 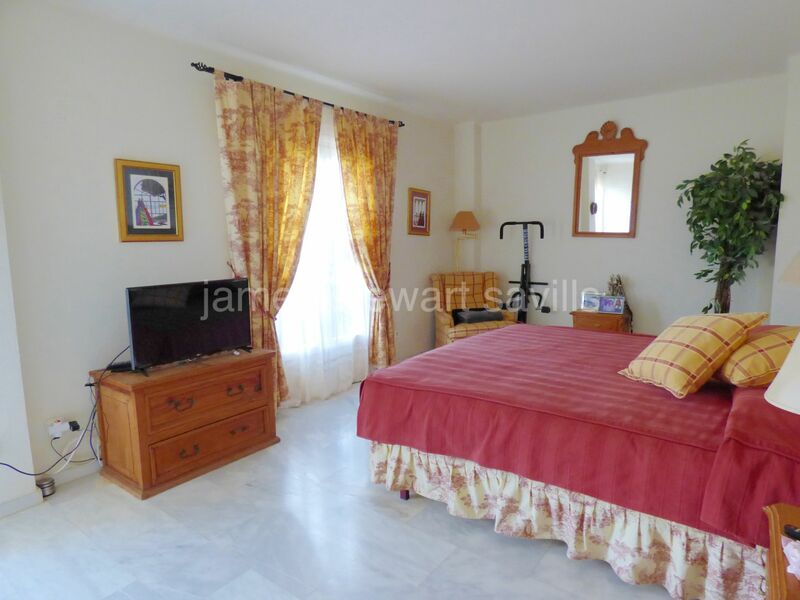 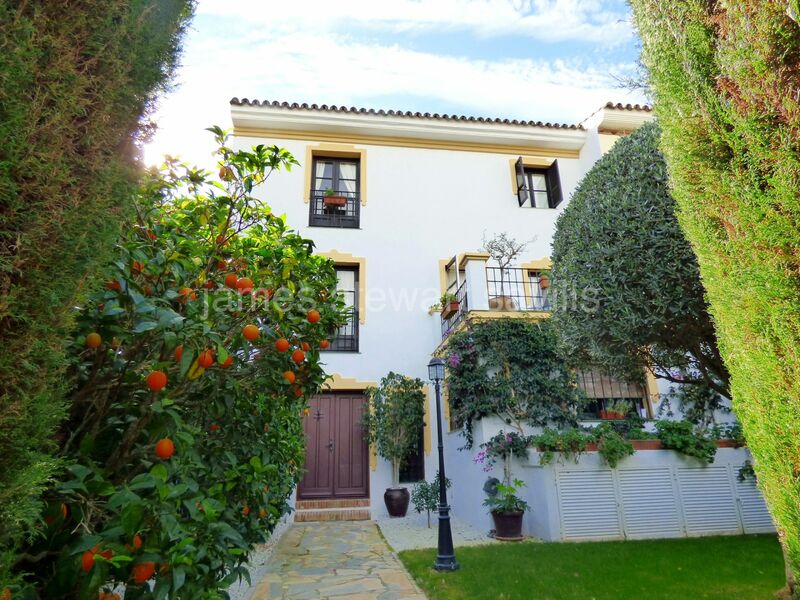 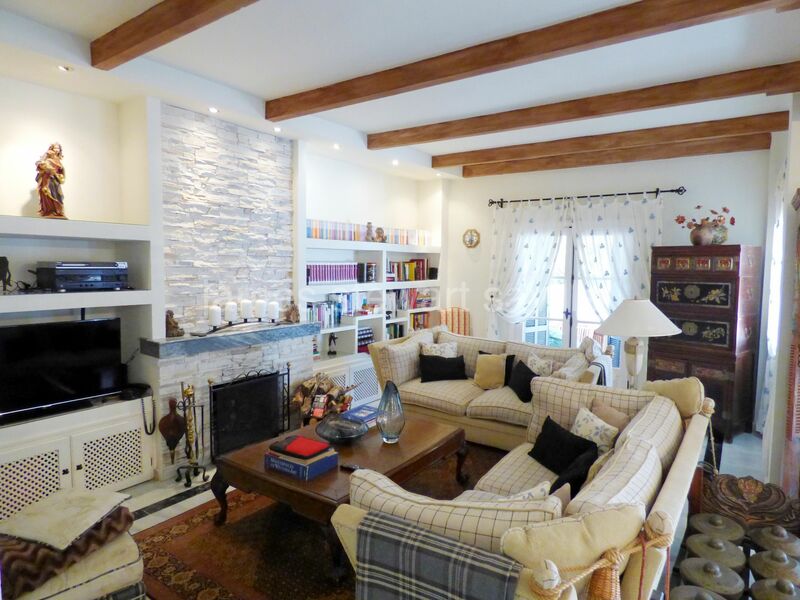 A rustic style townhouse with good sized rooms in the San Roque Club. 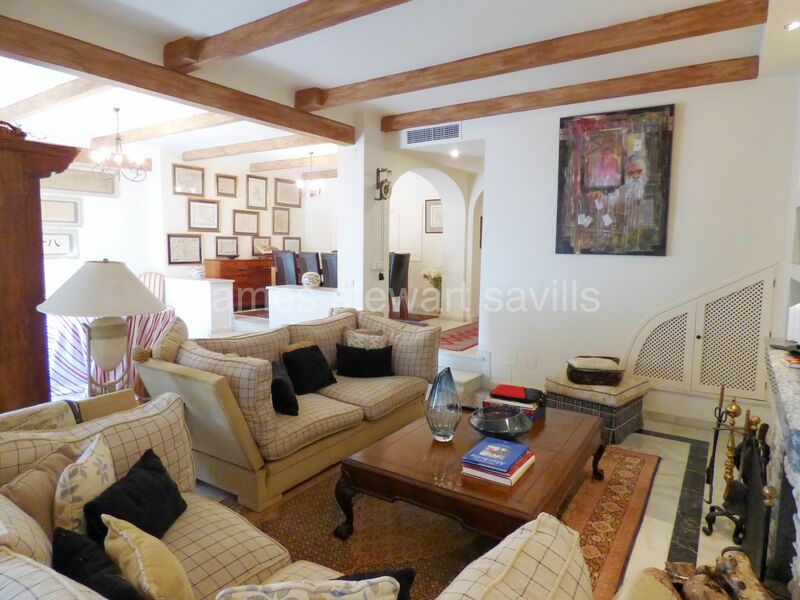 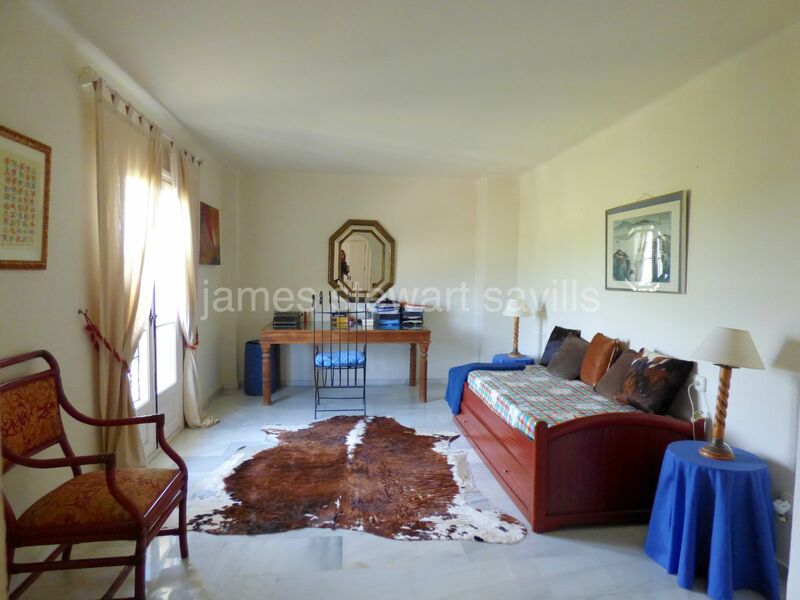 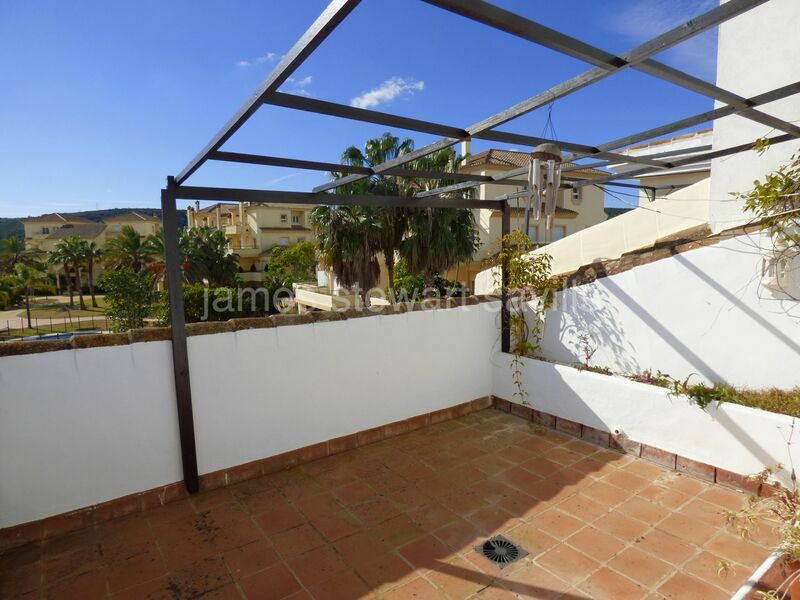 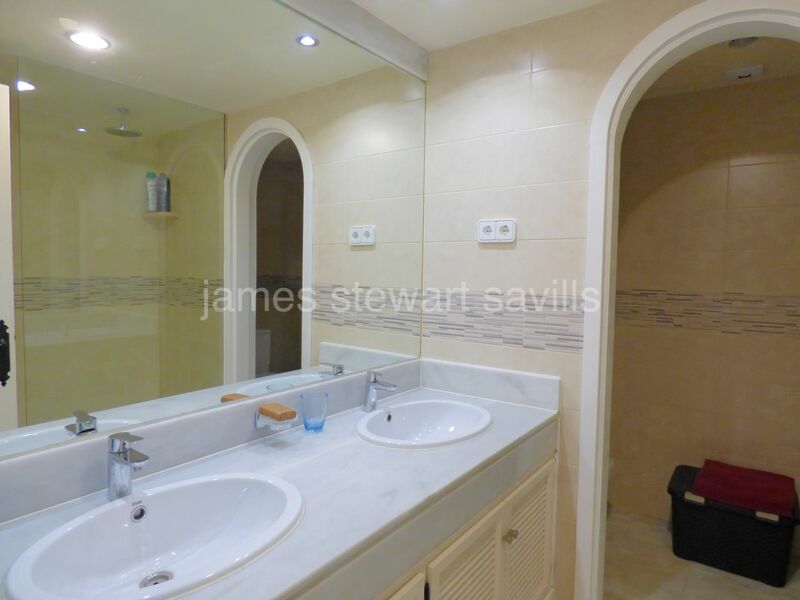 This was one of the first properties to be built on the San Roque Club and is in excellent condition. 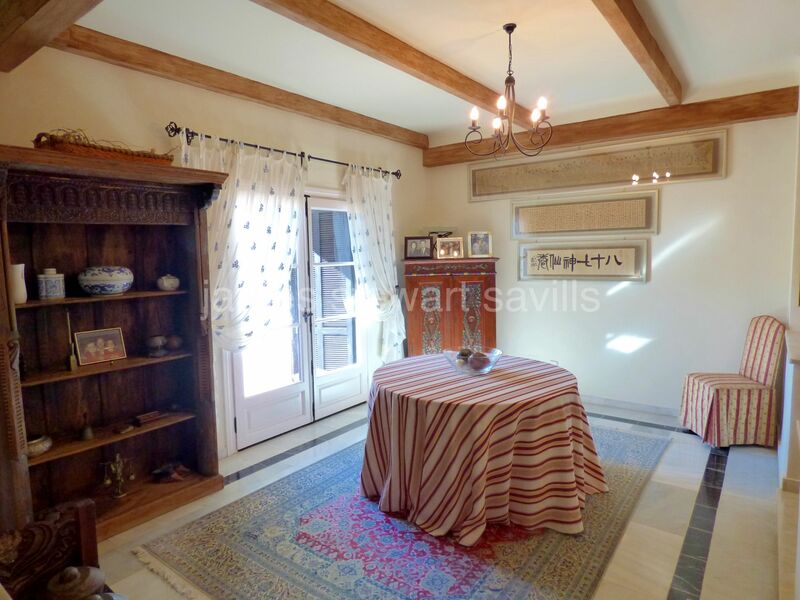 After entering via an antique wooden door, the ground floor consists of an entrance hall, very large family kitchen, living room with an elevated dining area and a guest cloakroom. 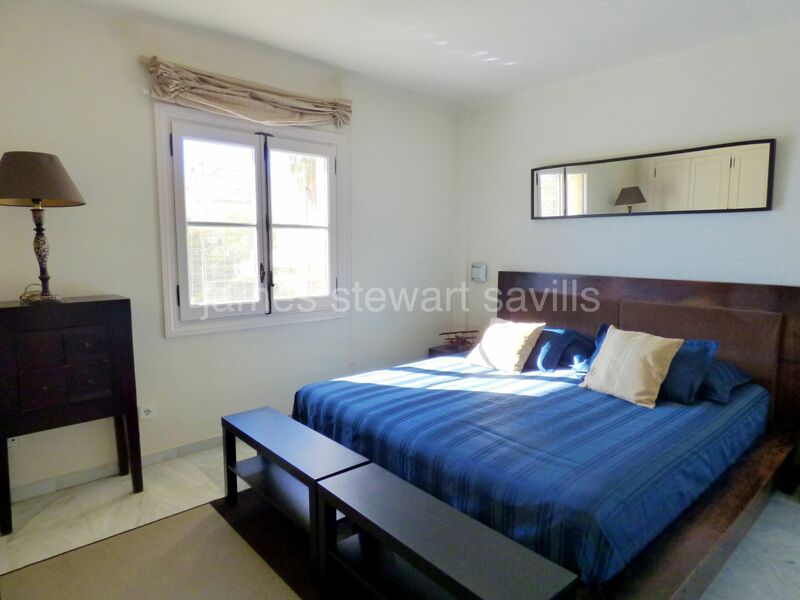 On the mid floor there are 3 very good size en-suite bedrooms with a further large main en-suite bedroom and terrace on the top floor. 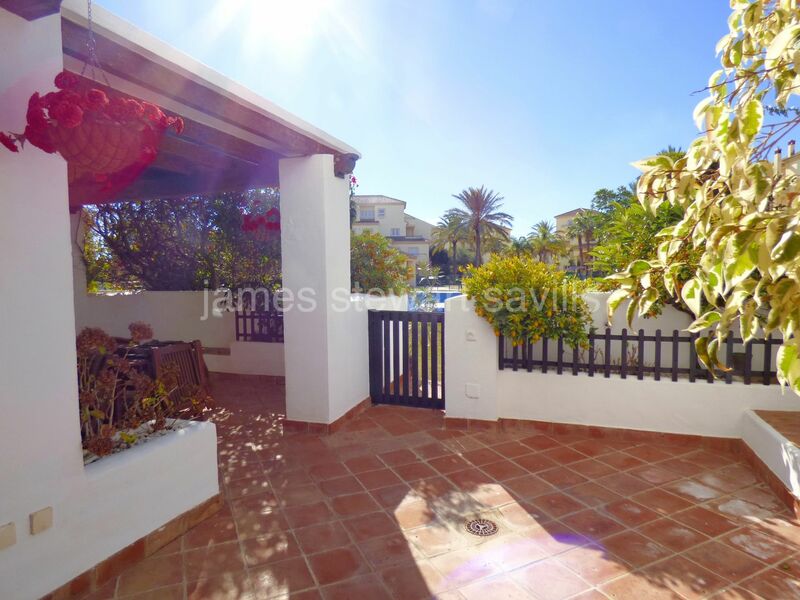 There is a small front garden with orange trees and the living room goes out to a private patio facing the communal gardens and pool. 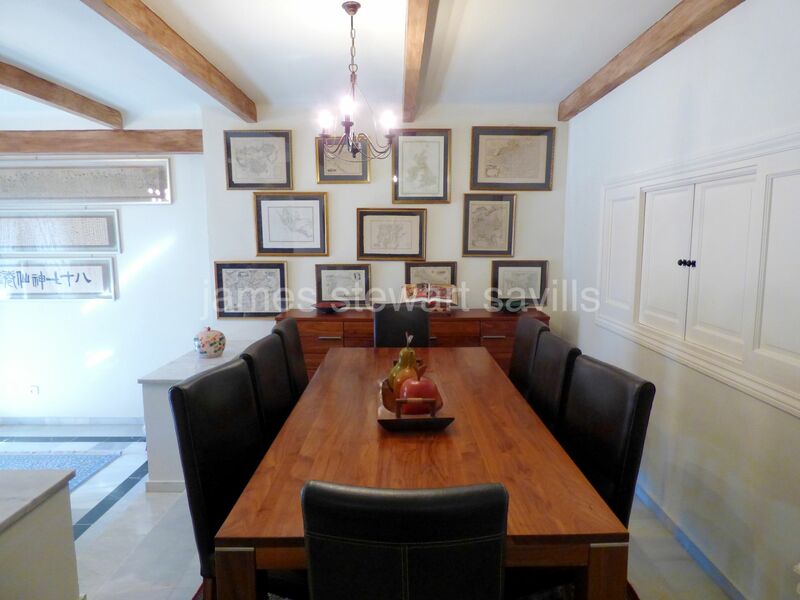 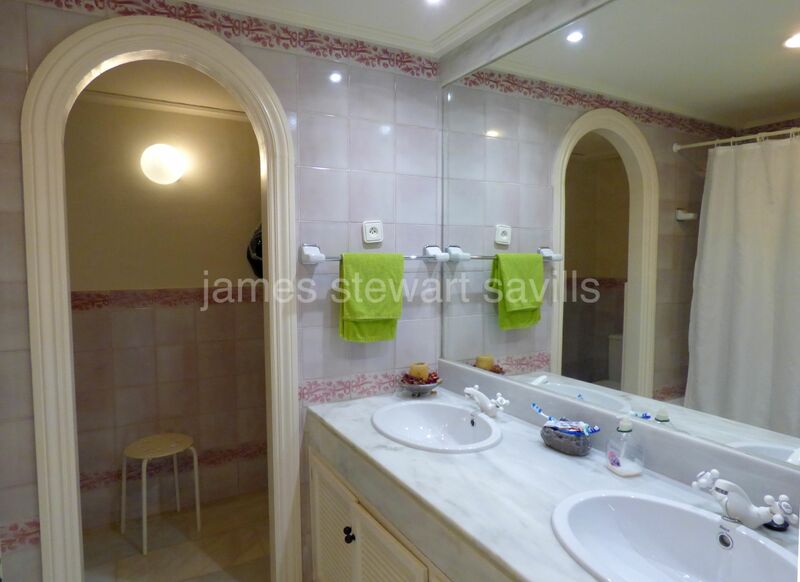 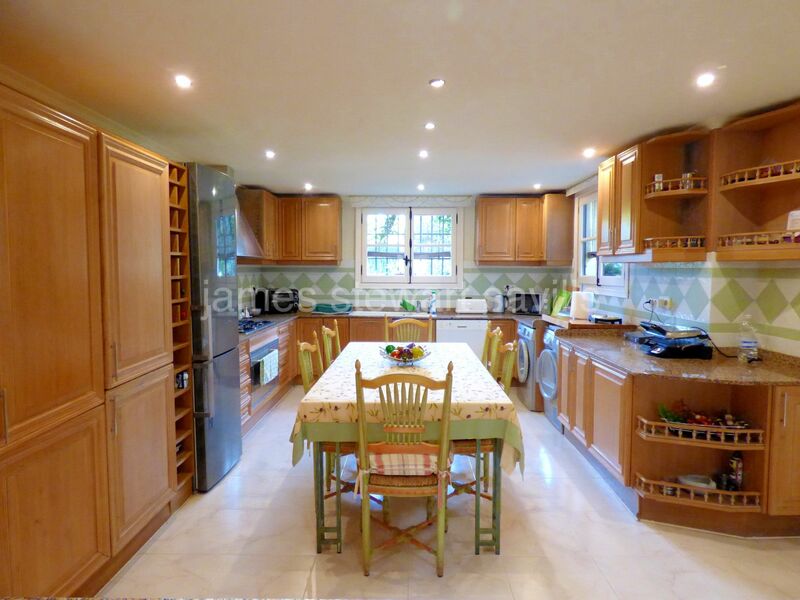 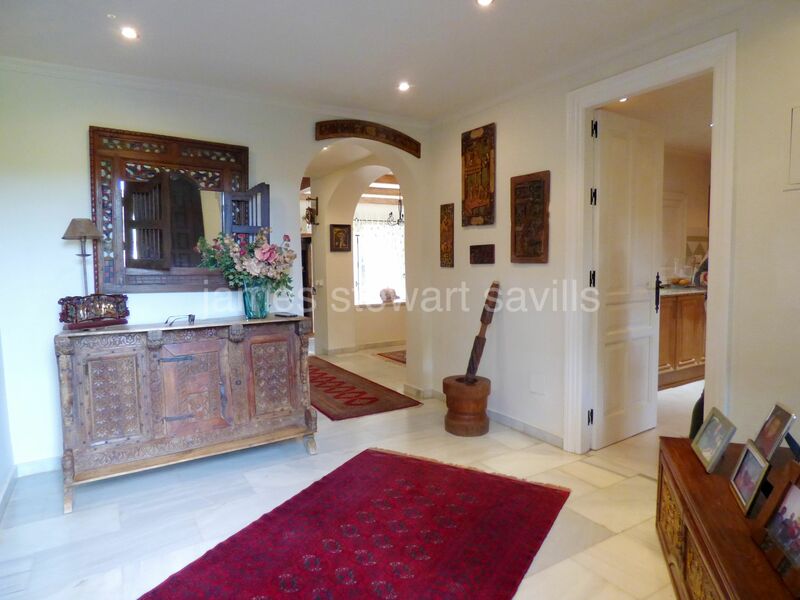 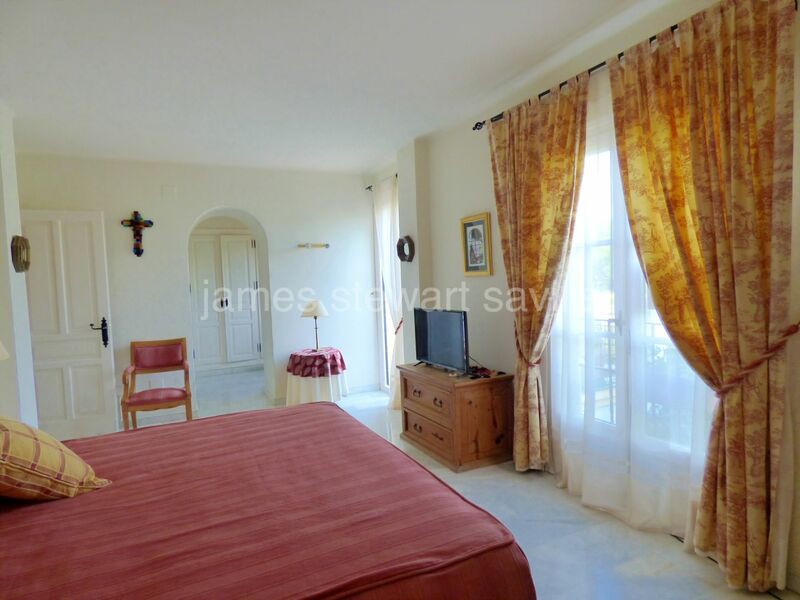 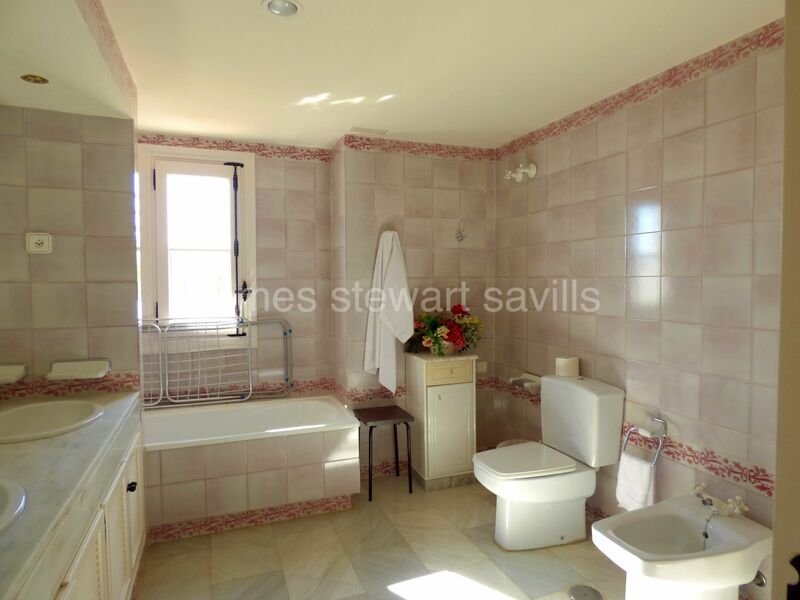 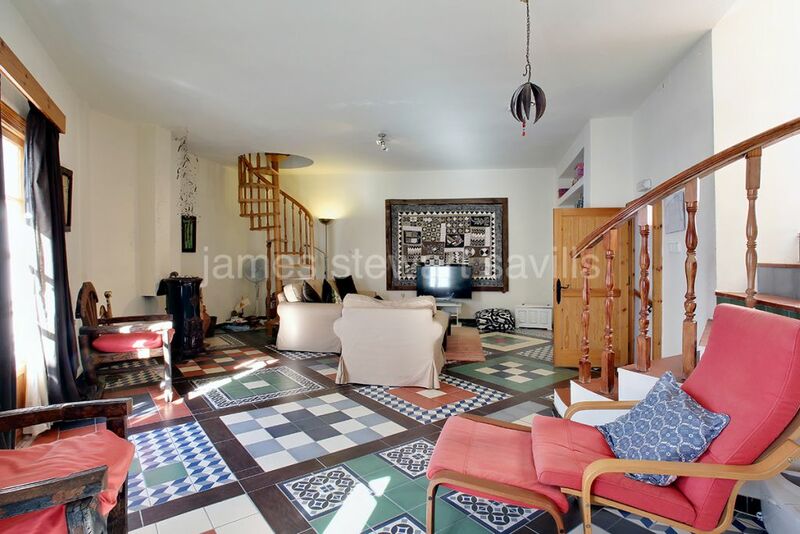 This is a very charming property with lots of nice Spanish character. 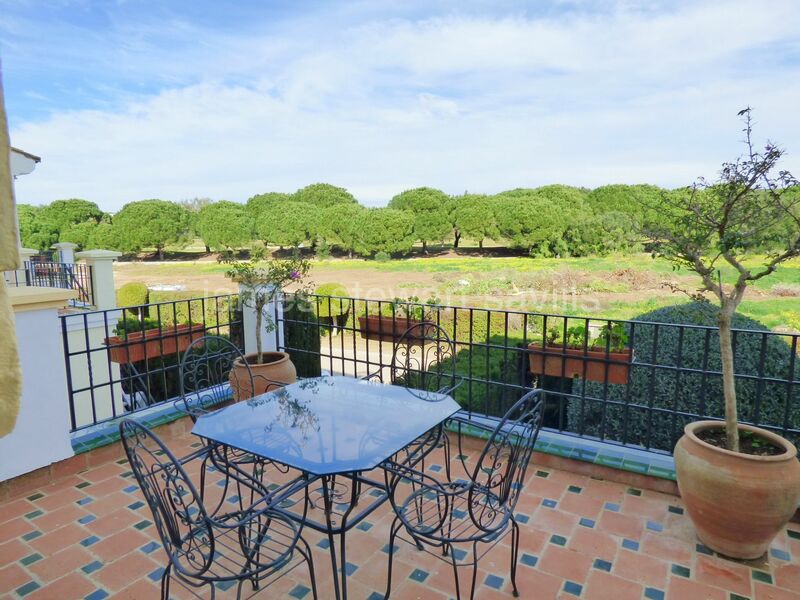 The San Roque Club offers 24h security, an on-site equestrian centre, the golf club clubhouse and easy access to the AP7 motorway for commuting.